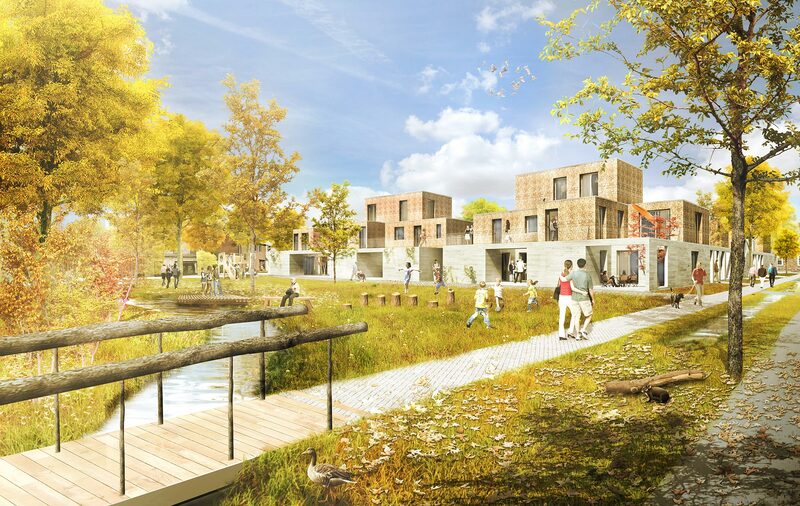 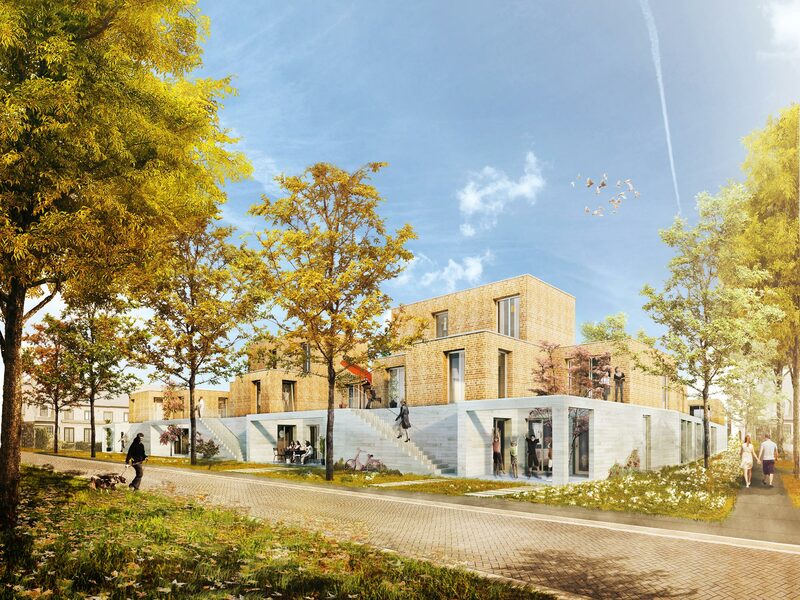 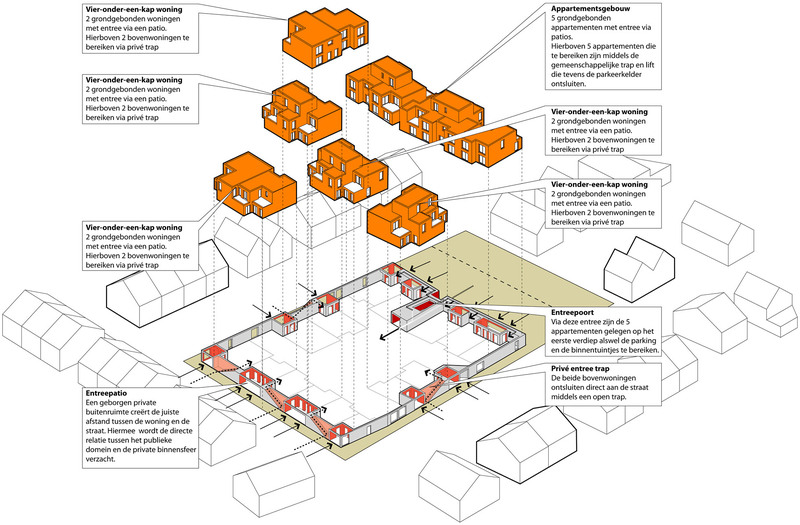 The ‘Schuurblok’ concept is based on maximum quality for both ‘your own home’ as well as for the public space. 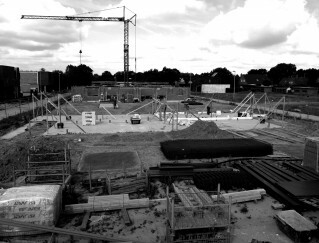 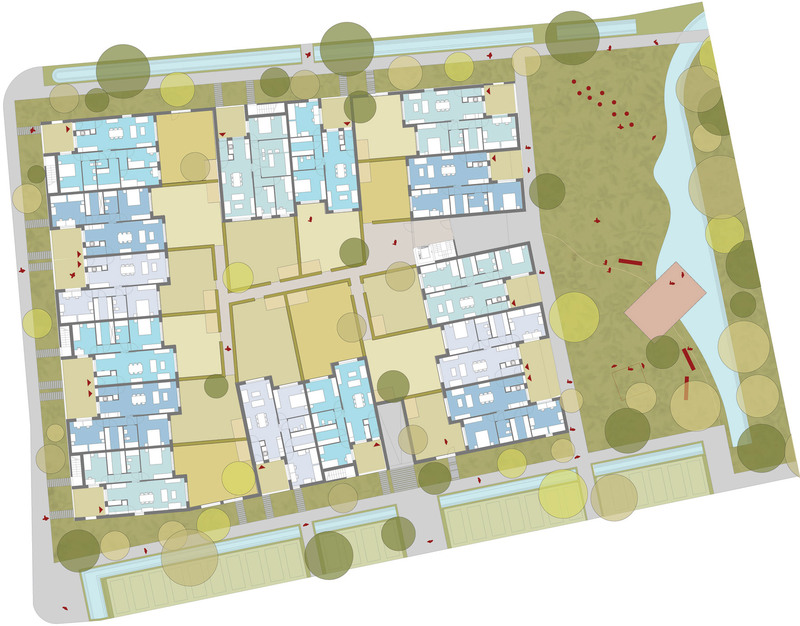 On the one hand, Schuurblok presents itself as a block in the heart of the new area whose scale is related to the scale of the public space and the new neighborhood garden. 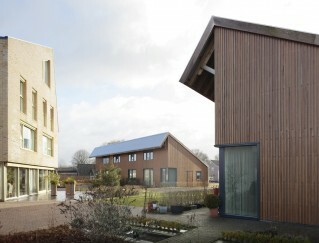 On the other hand the project refers to the ‘grain’ of the individual family houses in the area. 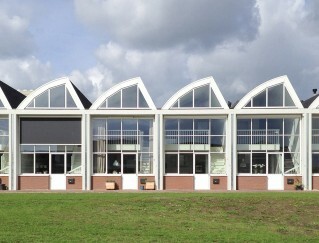 This way we obtain an image in which the appearance of the whole and the expression of the individual house are reflected equally in the general image of the project.